I love summer, because I associate it with so many wonderful memories. I always think of the smell of freshly cut grass, the fact that the sun never seems to set, and the memory of being around my dad when he would grill outside for dinner for me and my mum. Now, I live across the country from my parents, but when this summer came around I wanted to continue our grilling traditions! 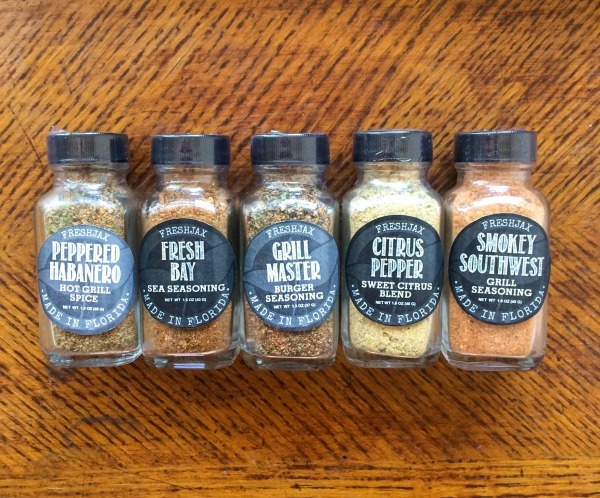 I was recently given a set of grilling spices from FreshJax and thought that they would be perfect to help me get to grilling outside! 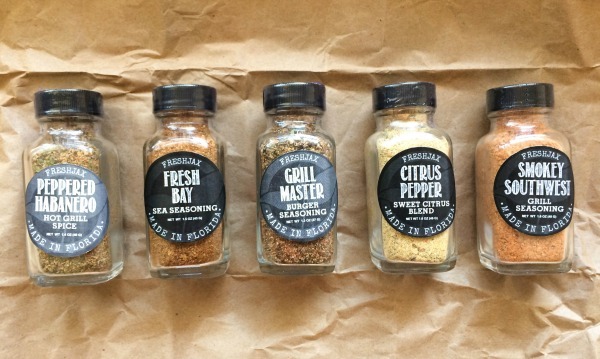 I decided to try out the spices by making some kebabs – because I’m obsessed with them. I think they are the perfect way to combine meat and veggies! Plus if you have some extra time and make rice to go on the side you’ve got a really filling, healthy, flavorful meal! 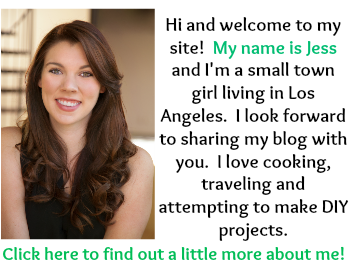 FreshJax is a really neat family owned business that’s been around since 2011. 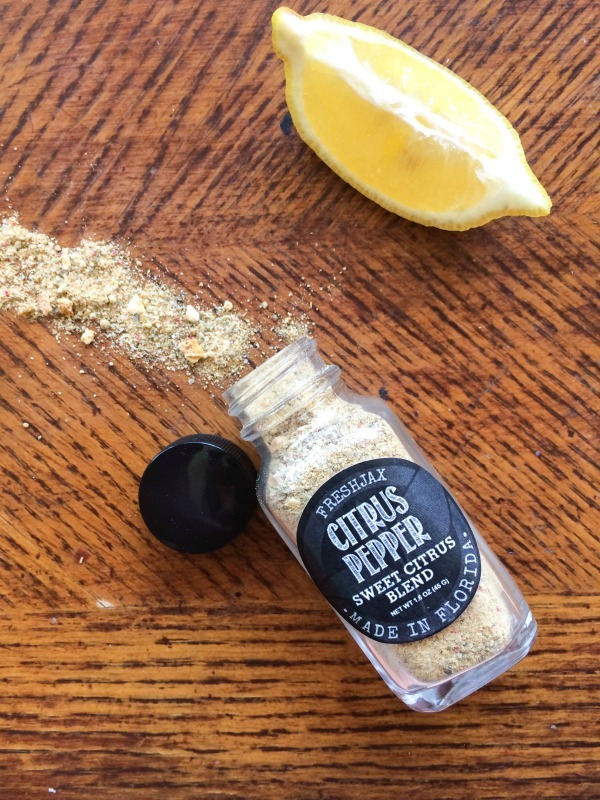 All of their spices are handcrafted in Florida, and the business is owned by Jason and his wife. 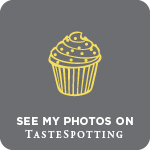 They are such sweethearts and checked in with me about how I was liking the spices (um, can you say YUM!) and also gave me some recommendations for how to use them! 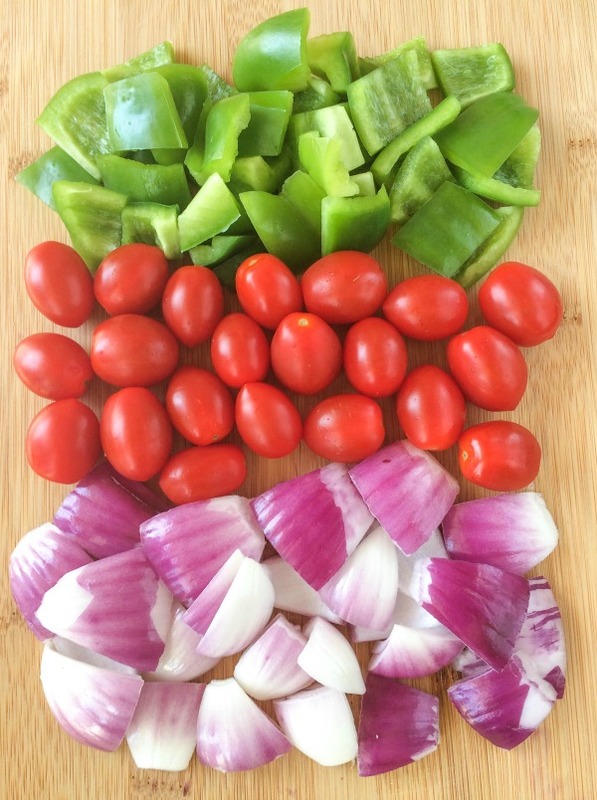 I wanted to make kebabs, and whenever I do, my go-to veggies are peppers and onions. I like using them because before they are cooked they are crisp and have a lot of bite to them. 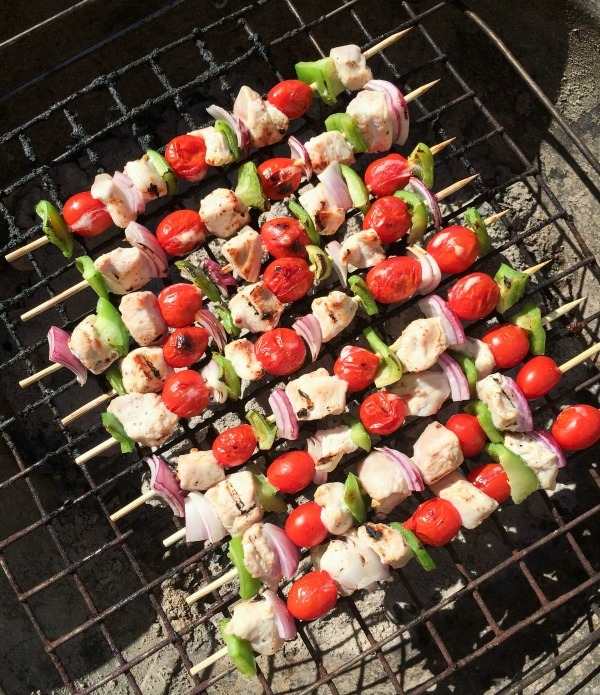 Then, when they start grilling they soften just enough, and make really flavorful additions to the kebabs! Based off of talking to Jason about the flavor profile of the spices, and knowing I wanted to make chicken and veggie kebabs I chose to season them with the citrus pepper spice! I also used some fresh lemon as they were cooking, and they were just delicious. Once you prep your ingredients for this recipe, the rest is really simple. A tip my mum gave me ages ago was to always make sure to soak the kebab skewers – because you know… wood + fire = bad news if they’re not soaked first. 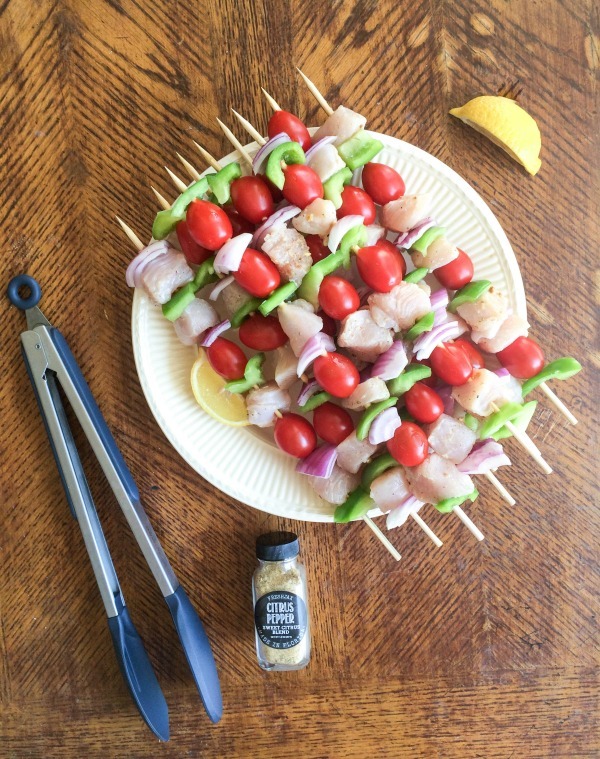 While the skewers are soaking, cut the chicken into cubes and combine with the juice of half of a lemon and a generous pinch of FreshJax Citrus Pepper Spice (1/2 teaspoon – 1 teaspoon). 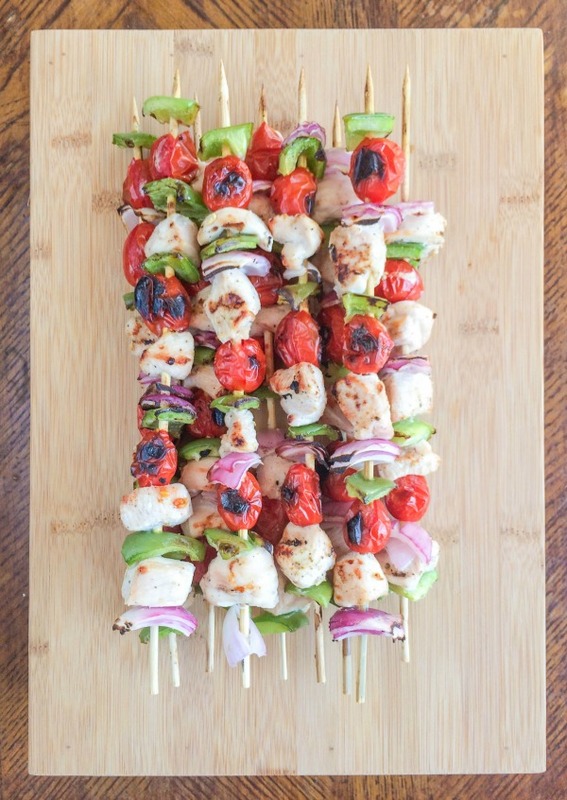 Once all that’s done, you can put the ingredients on the skewers and toss them right on the grill! In my apartment complex we have a little grill downstairs the pool that my landlord pretends doesn’t exist that anyone is welcome to use. I guess technically we’re not supposed to have one – but it’s been there since I moved in and no one knows whose grill it is! I also haven’t seen anyone but me and my boyfriend use it, which is a shame, because it’s a good little grill. 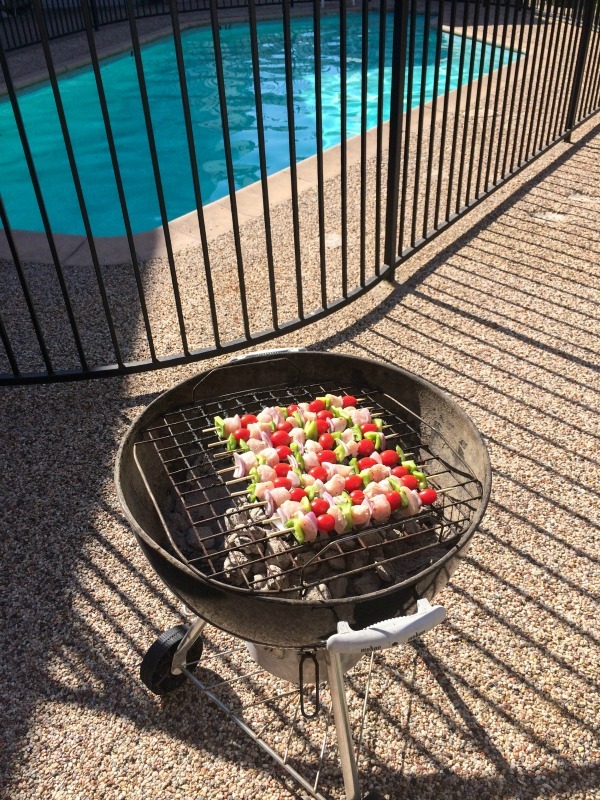 Plus, grilling poolside is definitely fun! Once the grill is ready you can toss the kebabs on the grill and squeeze half of the remaining lemon over the top side. My boyfriend and I always split the prep time in half – so we can get to cooking more quickly. I prep the skewers and the food and he gets the grill fired up! 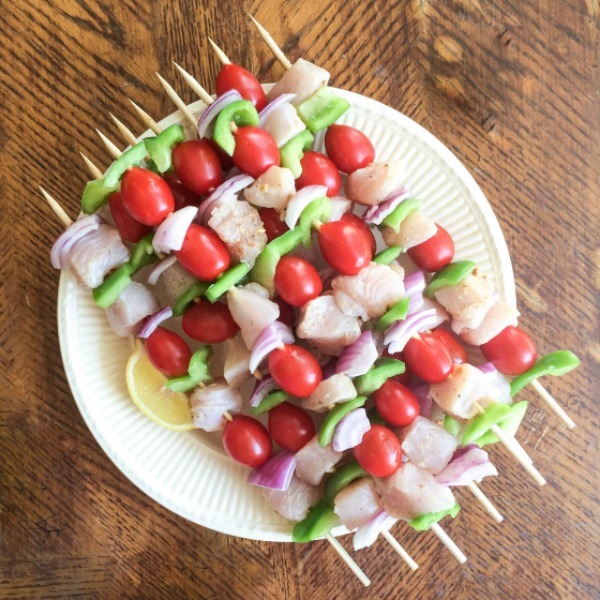 Then the rest is just waiting and checking on the skewers! I turn the skewers to the opposite side about a quarter of the way through the cooking process and squeeze the rest of the lemon on them. Then I turn the skewers again to make sure all sides are getting equal exposure to the heat from the coals. You’ll know when they are getting close to begin done because the tomatoes will start to char, blister and become very soft. The chicken will no longer become pink and the peppers and onions will start to soften. Once they’re done you can pull them off the grill and either serve them with rice or just by themselves! 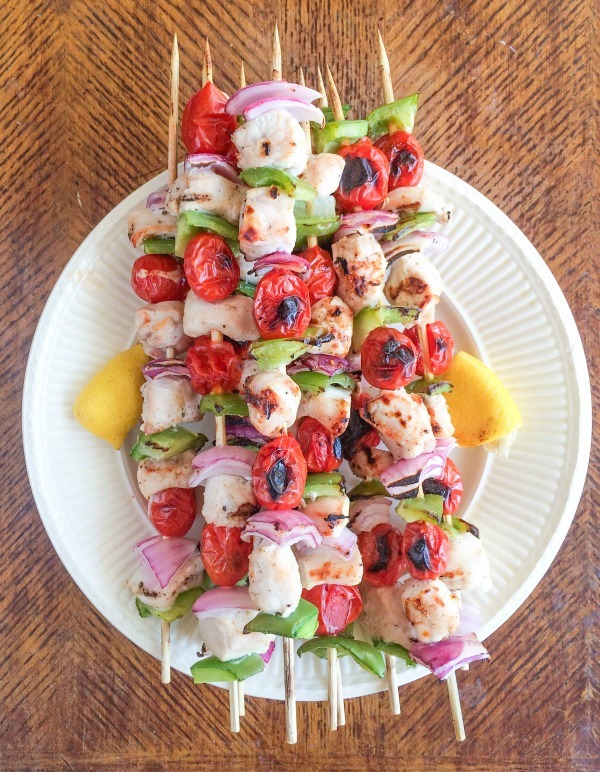 This recipe makes 9 skewers which was enough for two to have and be fully satisfied. If you’re going to split this among three or four people I’d recommend serving with rice! We had ours with some wine too, which I highly recommend if you’re over 21. ? 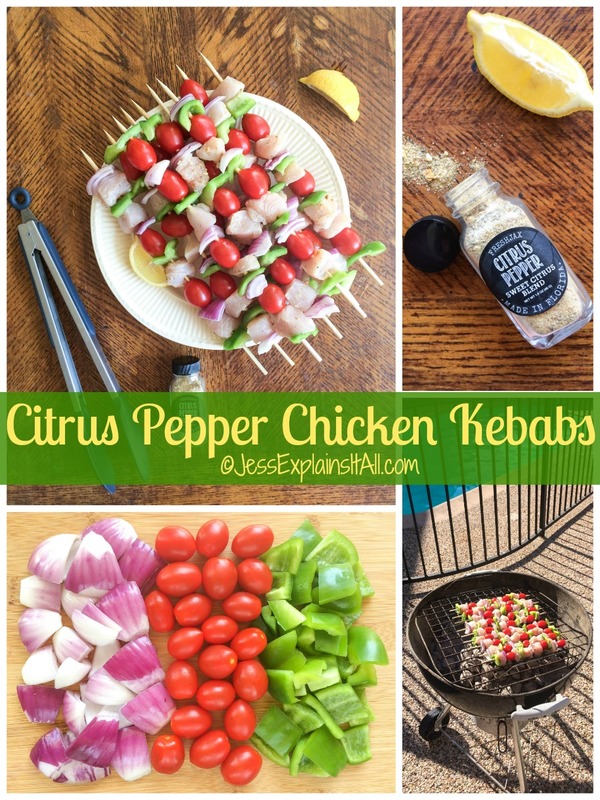 I hope you enjoy this recipe for Citrus Pepper Chicken Skewers! They’re quickly becoming a favorite of mine! Also if you’re a fan of spicy food, you can add a little bit of FreshJax Peppered Habanero (be careful though, it’s hot!). 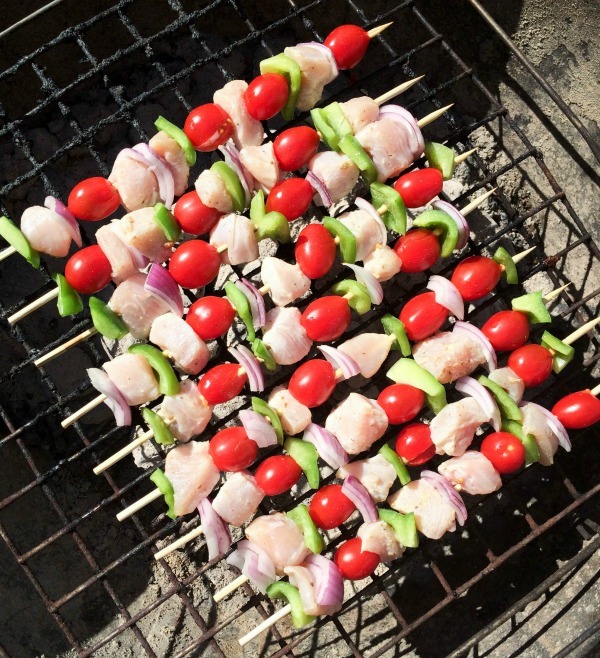 Soak the wooden skewers while you're preparing the ingredients. Add a generous pinch of FreshJax Citrus Pepper Spice (1/2 teaspoon - 1 teaspoon) and the juice of half a lemon to the chicken. 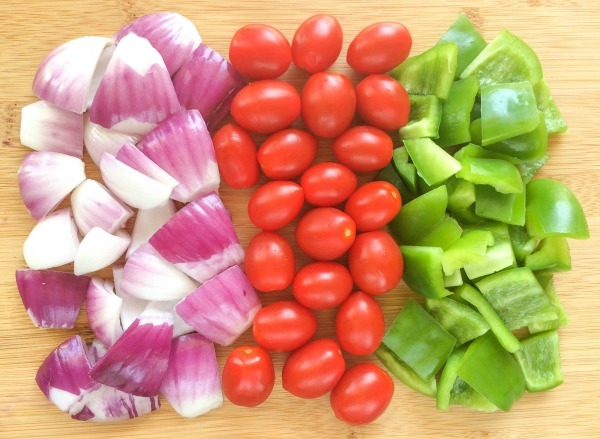 Coarsely chop the onion and pepper. 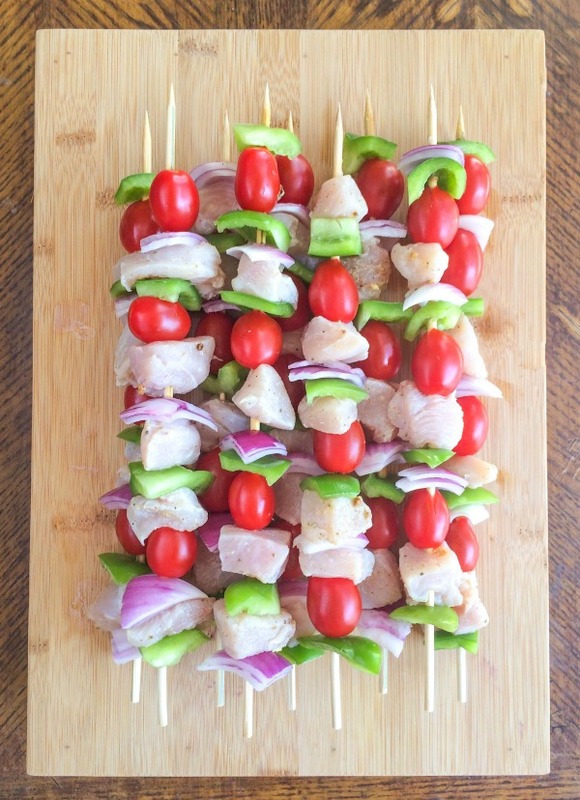 Thread the onions, peppers, tomatoes, and chicken onto the skewers. Cook for about 10-15 minutes until the chicken is cooked, the tomatoes are soft, blistered and charred and the onions and peppers have started to soften. Remove from the grill and serve immediately. You can serve them by themselves or with rice, if desired. Do you have any favorite kebab combinations or recipes? I’d love to hear about them in the comments section below! Thanks so much, they were delicious! These look great! Summer barbecue is just the best! Thanks Emily! Summer bbq is my absolute favorite! Thanks so much Kelly! They were delicious.